As I have mentioned before, I’ve tried out a handful of math curriculum with my children. I used Math-U-See for Kindergarten with my daughter and now I’m using Singapore for first grade. I love both of these curricula, but after starting my son’s kindergarten year with Math-U-See, it quickly became apparent that it was not challenging enough for him. In an effort to challenge him and change things up, he’s been using the online math program, Redbird Mathematics, from GiftedandTalented.com for the last 3 months. Today I hope to give you a thorough overview of our experiences of the Redbird Mathematics Online Math Program. Another thing you should know is that all of their programs are created in partnership with Stanford University and are research based. So while the approach or questions may sometimes seem difficult or different from other math programs, it is based on research of how children best learn math. This was a nice change of pace for my son, and he loved being able to do part of his schoolwork on my laptop or iPad. Even though the math was challenging, it almost seemed like a game to him (and occasionally there are fun games thrown in). I also liked this aspect because it meant no textbook or workbook. Everything was online, and the program kept track of where he was and what he still needed to work on. As I mentioned, Math-U-See is great, but the Kindergarten level was not nearly challenging enough for my son. And since he loves math and problem solving, I was glad to have a self-paced program that could challenge him. Rather than being bored because the problems are too easy, it would push him onto another more challenging concept. This program offered multiple representations of numbers and asked questions several different ways before moving on to new concepts, and I liked the way various topics were explored. This is a research based program which (in my opinion) seeks to help develop students’ number sense and conceptual understanding of mathematics. Because of this, however, it may look different from other curriculum that you may use or more traditional math instruction that you may be familiar with. I believe this is a good thing, though, so if you would like to try this, just know it may take some getting used to. The program is intuitive, so if he gets questions wrong, it continues to give him new questions around that concept rather than moving on. I appreciated this because I wanted him to try and do some of the problems on his own (often I would sit and talk through the problems with him). I could let him work independently from time to time knowing that it would not let him move onto adding to ten if he had not mastered adding to 5. This is completely unrelated to the math content, but a nice bonus for my son (who is learning to read) is that he began to see and recognize new words. There is a button to press which will read the question aloud (because my son couldn’t read it) and I began to notice that after listening to the questions for a while, he was picking up some of the words. He also learned new math vocabulary such as greater than and less than. Typically, the program presents various math problems and he has to answer the questions. Every once in a while though, it would bring up a game to allow him more practice and he thought these were so fun! If you have very slow or unreliable internet, you may have trouble accessing this program easily and consistently. Or if you don’t have access to a computer or other device, you won’t be able to use this, as it is entirely online. 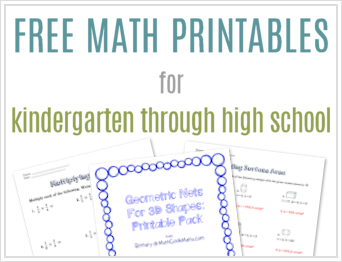 As I’ve said, this program is likely going to be different than other math curricula that you may be used to, and may seem incredibly challenging, especially if your child is older and used to a more traditional approach. I don’t think that’s a bad thing, but you might feel like it’s not right for you and your child for that reason. Instead, if your child struggles, I would suggest starting them 1-2 grade levels below where you think they are. This will help them get used to the program and the format and build their confidence before moving on to the more challenging math concepts. Remember, the goal of GiftedandTalented.com is to help all students become advanced learners. Because my son is 6, we started with the Kindergarten level of Redbird Mathematics. I quickly noticed, however, that he was often learning and working on problems similar to my daughter (who is a year ahead). So Who IS Redbird Mathematics For? 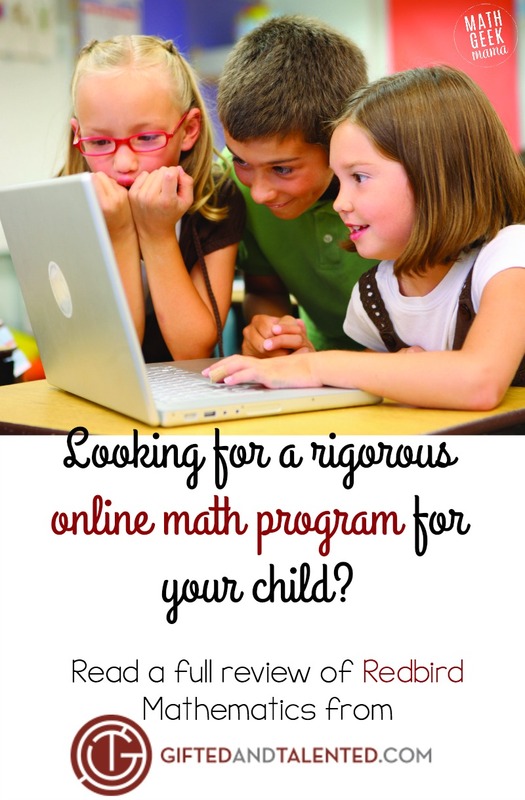 If you already see in your child an aptitude and love of math and have a child who wants to be pushed further, Redbird Mathematics is a great option. If your child struggles with math, I still believe they will benefit from this program, I would simply suggest you start 1-2 levels below their current grade level. If you have an older child who wants a competitive edge and wants to be prepared for advanced math, especially in college, or pursue a career in a STEM field, I am confident that Redbird Mathematics would push them and prepare them. The program I have used and tested with my son is an independent learning track. It is self-paced and while intuitive to meet his needs, there is no additional help if he gets stuck or has questions. If you would like your child to have the opportunity to be pushed and challenged in this rigorous math program, but do not feel confident that you can help them when they need it, there is also a tutor supported option. This would be a great option is you want even more personalized help and attention for your child to ensure that they succeed with this program. Please also note that we have only used the Kindergarten level, but this program is K-7. I have not actually used any of the upper level courses. Want to try the Redbird Mathematics Program for Yourself? I suggest subscribing to the GiftedandTalented.com e-mail to be informed of special offers and deals to make this online math program more affordable for you. Have you and your child tried this program? What are your thoughts? What would you like other parents to know? If you haven’t tried this, what questions do you have? I have to disagree with you on some points of RedBird. They bill themselves as a program for advanced students, but my daughter and I both found that it’s very linear and not adaptive. True products for independent advanced learners give more autonomy in selecting what to study and RedBird does not. We chose not to renew our trial and went happily back to Khan Academy. Well that’s good to know. I appreciate your perspective. I don’t have another online program to compare it to, and I also don’t have a higher level (only the Kindergarten level) to compare it to. I may feel differently as we continue to progress in the program. I just posted a comment and then read this one. I don’t see this as a curriculum for advanced or gifted, actually. We are using it as a basic math program and it fits. My girls use hands on manipulatives and sometimes I build on concepts based on their grasps and whether I feel they need a bit more coaching. In fact, for a while I didn’t look into the program because of the “gifted and talented” label. We weren’t looking for curriculum for gifted math students, but other programs just didn’t seem to be the “one”. I like that you can purchase on a 3 month bases. We will be renewing our subscription. Perhaps next year, we may move on to a different approach. I think it may depend how you’re looking to use it. 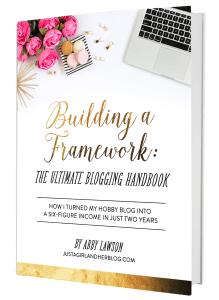 As your everyday homeschool math curriculum, I think it is an excellent choice. If you’re looking to use it as a fun supplement for your child to use after school, then it may not be the best fit. But I do think you’re right–you don’t have to have a child who is labeled “gifted” to use and benefit from this program. Hi MGM! We are using this program for our children too! I really value all the instant reporting available to parents even as the student goes through the lesson. I can very quickly and easily monitor 2 children doing the program at different levels. It is easy to identify where exactly I may need to step in and coach/instruct. We were able to make adjustments and put our children in at the part of the program we felt was most fitting. The lessons are no frills but to the point, open and go. My children value this over other programs we have tried that seem to draw out every single lesson. It is interactive, there are virtual manipulatives. Students are taken through different strategies for solving problems, not just one. Customer service is great. Ordering is easy. I would love to see more colorful graphics and a more updated, lively interface (especially at the K level!) but other than that, we really like this program and will continue using it as part of our homeschool curriculum. Great review! I have been looking into this program for my daughter, especially during the summer months when she is not in school (traditional public school). I have a question for you: Have you heard of Beast Academy? 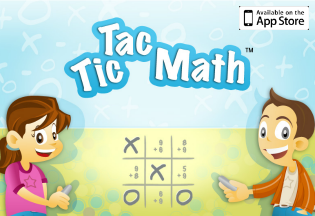 It’s marketed as an elementary series for highly gifted “mathy” kids & is produced by the Art of Problem Solving. I have heard mixed reviews on the program and wanted additional opinions. Thanks so much for your time! I`d left a review of Redbird math about a year ago. Still going strong there, but also added Beast Academy as a kind of deep dive review. Daughter is in love with both. The nice thing is that she is progressing in a way that if she has trouble with reading words, or word problems, she can get more help from the cues in Redbird. Her math vocabulary is growing incredibly. Beast Academy is nice because it is “pen to paper,” which research shows is an important component of achieving true Math literacy. I would highly recommend both programs together. Good luck. My daughter has been using Redbird Math for 6 months, and we LOVE it. She attends a “progressive” school, that depends upon Everyday Math for their mathematics curriculum. My daughter was struggling with basic concepts, and it just appeared to be too superficial for her. In the 2nd grade, SHE asked ME to help her learn more about math. We tried Redbird, and after the 2nd week, she was hooked. They also have games that support their curriculum, and in 6 months, her basic math understanding has skyrocketed. She hasn`t yet entered the 3rd grade (it`s summer,) but she is already playing around with multiplication, and division, and is making up problems for ME to solve, just for fun!! I`m so happy we found them.